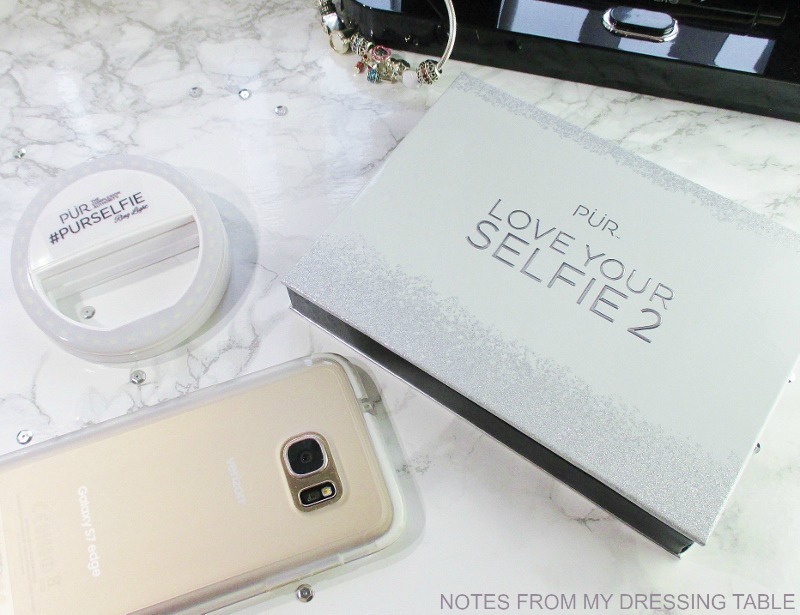 PUR Cosmetics, the Complexion Authority brings us the follow up to the Love Your Selfie, their bestselling kit with the new Love Your Selfie 2. Upgrade your profile with this rich, Autumn perfect collection of eye shadows, face powders and lippies curated to help everyone snap their best #PURSelfie. A sturdy, silver and glitter effect trimmed cardboard palette contains a generous selection of get pretty goodies that will help you look and feel your beautiful best in every selfie you snap, all through the Fall. Rich, current Fall eye, cheek and lip colours awaited my eagerly seeking eyes and fingers, when I lifted the mirrored lid. There are six eye shadows and a mini mascara in current on trend shades to create beautiful eye looks on the fly, three silky powders to perfect the complexion, a matte lip colour pencil and coordinating gloss for a rosy, selfie worthy pout. Six eye shadows in soft mattes to shimmer in shades for highlighting, lid, crease and blending the transition are included. The shadows, themselves are lovely; soft to the touch, not too powdery or flaky. Pigmentation and payoff are very good. 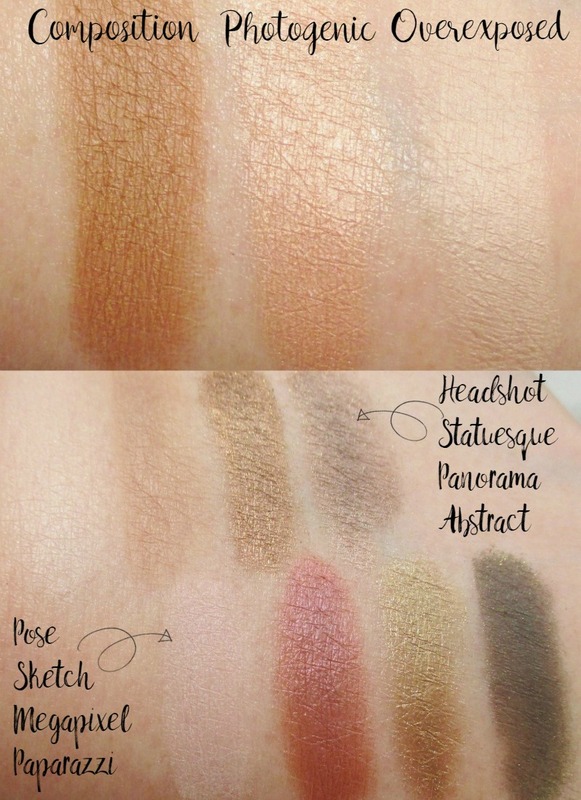 These shadows build and blend smoothly and easily without going muddy or flying away. I get all day wear with no creasing, fading or breaking down, over primer. I know... I have dry lids but if I don't use primer, my lids eat eye shadow for lunch. Freaks. Below the shadows are three face powders (swatched, below). Overexposed is a translucent "baking" powder that is suitable for use all over the face. Photogenic is a soft, radiant rose gold that, depending on skin tone is a blush or a highlight. I think that it would be pretty on the eyes, too! Composition is a warm, medium bronzer. I would never contour with this shade but it is just about right for giving my fair skin a soft, sun kissed glow when buffed on with a light hand. This bronzer could also be used to lovely effect on the eyes. Swatches of the eye shadows. I took these under artificial light, on a gloomy day. Seriously... Something needs to be done about my lighting. Anyway, while I dig all of these shadows (hello, neutrals!) I have a few definite faves, here. Isn't Sketch, that burgundy with a hint of pink-y shift just too pretty? Paparazzi is a deep, matte, somewhat murky green that is just the thing for deepening the crease, outer corners and to use as a liner. Abstract is the perfect, smoky taupe all over the lid shade, Statuesque is that useful transition/blending shade everyone needs in their arsenal and Headshot is a wonderful, soft matte brow highlight. There is a snack sized Fully Charged mascara in black for those fluttery, fabulous, Instagram ready lashes. A Velvet Matte Lip Pencil in Focal Point and Lip Gloss in Silhouette are those beautiful, neutral, my-lips-but-not-boring-shades that should flatter just about everyone. 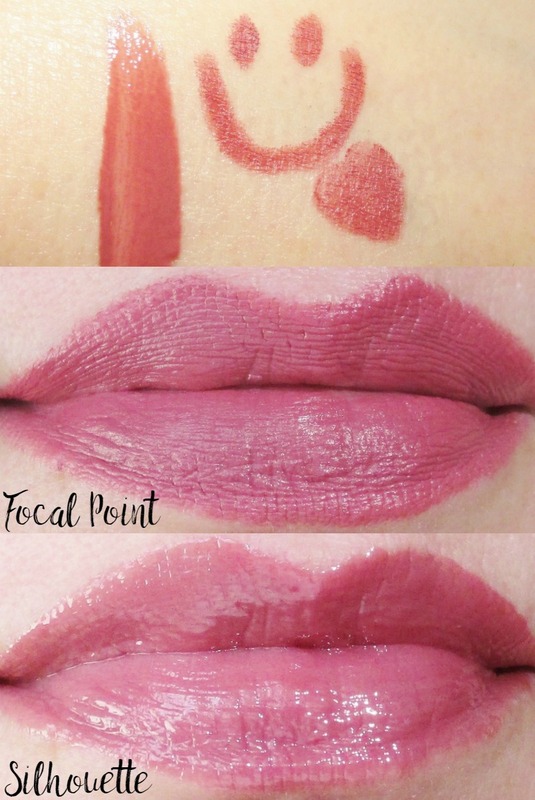 The Velvet Matte Lip Pencil is chubby and sharpenable, smooth, creamy, easy to apply and delivers a satin matte finish that is flexible and comfortable and wears for hours. Silhouette Lip Gloss is shiny, not in the least bit sticky or gloppy and slicks on with an elongated doe foot applicator. Wear time on the gloss is about standard. Be ready to touch it up, now and then. Sensitive beauties rejoice! Both lip products are free of added fragrance. The lippies swatched on my hand and on my lips. My natural lip pigment tones these more to the rosy-pink side of things. If this was all a bit TL/DR... In a nutshell, the shadows are beautiful and good quality, the face powders smooth and blendable and enhance the complexion, the lippies are gorgeous and wearable. The whole package is packable for take along primping. 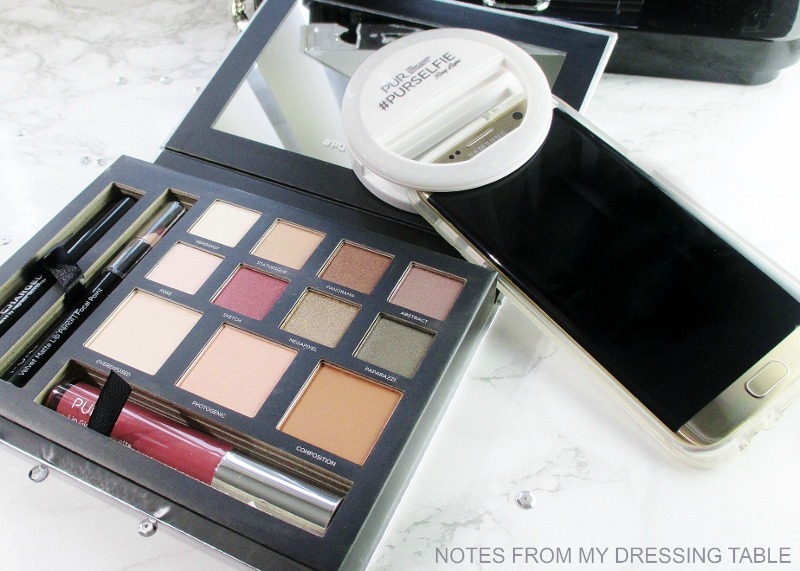 I like the PUR Love Your Selfie 2 Palette. You get a lot of pretty makeup for the price and all of the shades should work for just about every skin tone in some way. 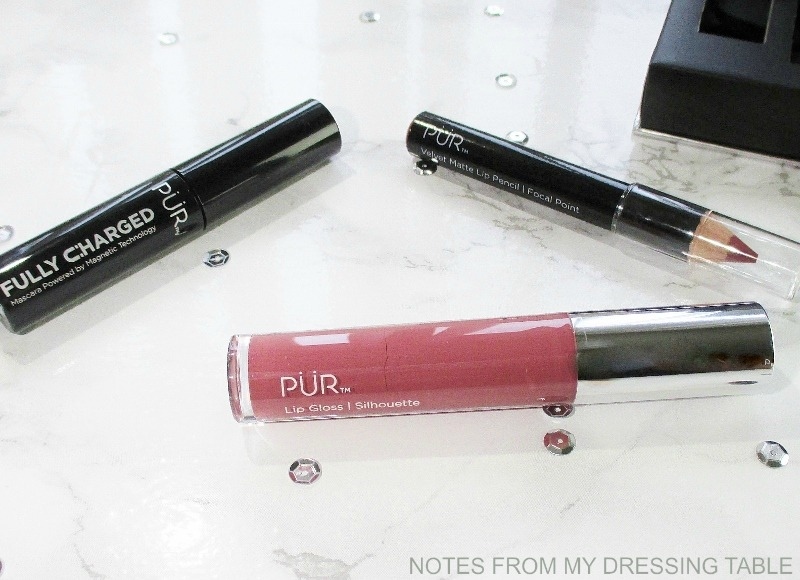 PUR Cosmetics are Cruelty Free. Many of their products are Paraben and Gluten Free and Vegan Friendly, as well. You can buy PUR Cosmetics on Their Website. Also from Ulta Beauty and Kohl's, online and in store. 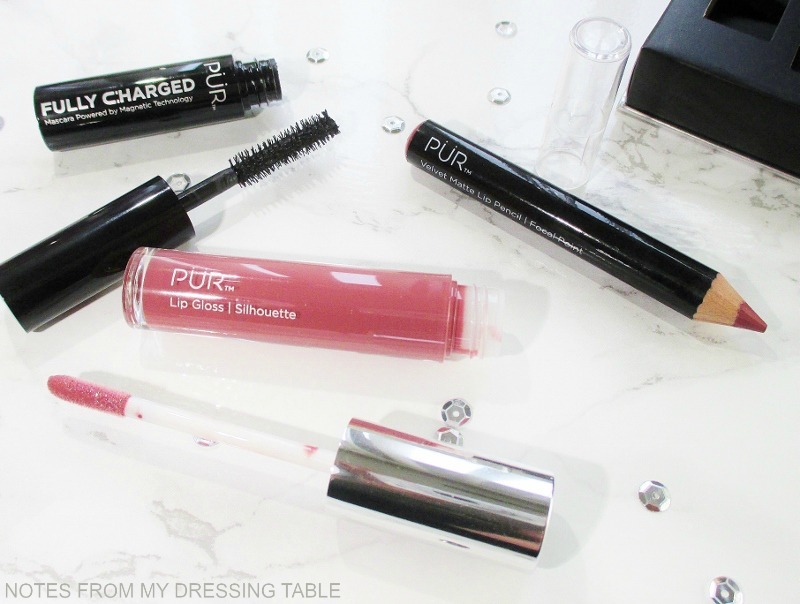 Have you tried PUR Cosmetics? What are your favorite products from this line? Please do tell.